Cozy villages, olive groves, vineyards, fresh food and some of Croatia’s best white wines – you’ll find it all on the island of Korcula in southern Dalmatia. This beautiful destination and Marco Polo’s birthplace offers culture and history, as well as sports, fun activities and beautiful sunny beaches. 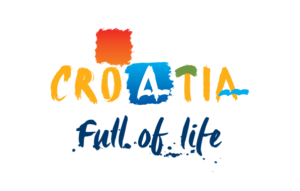 Korcula is wonderful for exploring because of its numerous surrounding islands and islets, unspoiled nature and wilderness. We invite you to immerse yourself in Korcula's narrow walkways and discover thousands of years old culture which will impress any history fan. With 47 km in length, the sunny destination is sure to delight visitors with its beauty and offerings for the whole family. Nearest airports are Dubrovnik Airport (DBV) and Split Airport (SPU). There is a daily car ferry service with Jadrolinija that sails from Split, Ploca and Orebic to Korcula. Taxis, minibuses and coaches available for airport transfers from and to island of Korcula (including the ferry service). There is a daily katamaran service with Jadrolinija that sails from Split or Dubrovnik. See our accommodation on Korcula or contact us if you have any questions!